Ridley Scott’s surprising desire to keep making Prometheus movies may have driven 20th Century Fox to shelve Neill Blomkamp’s Alien sequel, but the Chappie director couldn’t just let Alien Day go by without teasing everybody a little bit more about how awesome and fan-service-y his movie would’ve been. This comes from io9, which posted an image from Blomkamp’s Instagram featuring concept art of an adult version of Newt, the little girl from Aliens. The only information Blomkamp offered alongside the image was an “Alien Day” caption, but from Newt’s scowl, flight suit-like outfit, and buttons (presumably featuring the logos of her favorite punk bands), it seems safe to assume this would’ve been a grizzled, more badass incarnation of the kid who—last we heard—died offscreen in Alien 3. Unfortunately, the lack of information Blomkamp offered about this image means we don’t really have any context for it. But Aliens’ Michael Biehn said last year that Blomkamp’s movie would’ve involved a “passing of the torch” from Sigourney Weaver’s Ellen Ripley to this new Newt. 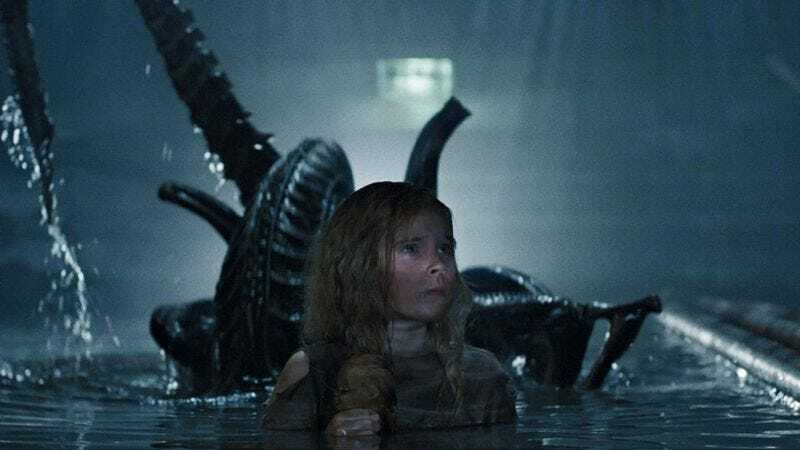 However, as we mentioned up above, Newt died in Alien 3, so making the new movie about her would go against a comment Blomkamp himself made a few months earlier about how his movie wouldn’t “undo” the post-Aliens sequels—even though that comment itself was inconsistent with an earlier report about how his movie would “ignore” Alien 3 and Alien: Resurrection. So it’s a little hard to know which story to believe here, as Blomkamp’s movie can’t be about Newt while also ignoring and not ignoring Alien 3 and Resurrection. But since the project has been put on an indefinite hold, pondering the meaning of this concept art is pretty meaningless anyway. For now, it’s just a cool picture.